Macau’s Health Bureau has issued a statement on the most recently announced tests it did for the presence of legionella bacteria at Sands China Ltd’s Parisian Macao resort (pictured) on Cotai. 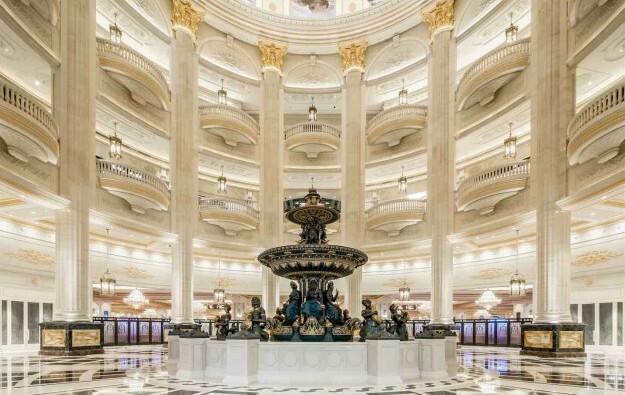 The bureau made the announcement on Monday, approximately two weeks after it had authorised the reopening of two fountains at the Parisian Macao. Monday’s statement said some “abnormal” levels of legionella bacteria had been found at the property – but not in the fountains – in its most recently announced tests, conducted between May 8 and June 1. Sands China told GGRAsia in a statement on Tuesday that – in three water taps where legionella had been found in those recent Health Bureau tests, the firm had “immediately sterilised” the equipment, and was using an “independent third party” for an “ongoing water treatment and testing programme”. In late April the Parisian Macao had been linked by the Health Bureau to three confirmed cases of Legionnaire’s disease. Each involved separate men from Hong Kong that had been at the property in December, January and March respectively. Legionnaire’s disease is a serious lung infection caused by legionella bacteria. Such bacteria can occur in water tanks, cooling towers, spas and water fountains. The operation of the resort’s water fountains had been suspended on April 21 by order of the Health Bureau and the facilities drained prior to cleaning. In its Monday statement, the Health Bureau said that on June 2 and June 6 it had lifted respective suspension orders on the indoor and outdoor fountain at the Parisian Macao, as no legionella bacteria had been detected in them. But the statement said that following site tests conducted between May 8 and June 1, other places in the venue had at that time shown evidence of “abnormal” levels of the microorganism. Three water samples “exceeded the action level of one colony-forming unit per millilitre (CFU/mL)”, out of a batch of 153 water samples that were taken. Two of the samples exceeding the action level came from a toilet accessible to the public in the Parisian Macao’s shopping mall, and one came from the tap of a hotel room at the property, the bureau said in its Monday statement. A Health Bureau inspection of the Parisian Macao in April had found “abnormal levels” of legionella bacteria in 10 out of 78 water samples collected at the casino resort. On Tuesday, the health department confirmed to GGRAsia that it would continue to inspect water samples at the Parisian Macao to monitor the situation regarding legionella bacteria. It also confirmed that it currently had no suspension order in place for any Parisian Macao facility requiring water supply.